Dr. Steven Davis has taught in the Social Science Department at Edgewood College since 1994. He teaches courses on American political institutions, environmental politics, politics and media, and political ideology and in 2012 was awarded the James R. Undekofler Excellence in Undergraduate Teaching Award. 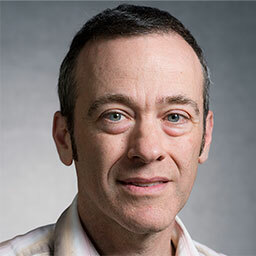 His research, on the environmental movement and also the politics of public land management has been published in a number of journals including Social Science Journal, Southeastern Political Review, Political Communications, Natural Resources Journal and the Journal of Land Use and Environmental Law. A book, In Defense of Public Lands: The Case Against Privatization and Transfer will be released by Temple University Press in June 2018. In 1999, Professor Davis taught at Masaryk University in Brno, Czech Republic as a Fulbright Senior Scholar and has, since then, maintained a long professional collaboration with the Faculty of Social Science in Brno. He is also one of the co-founders of Edgewood’s Environmental Studies Program and served as its director from 2009-2010. Originally from Chicago, Professor Davis played bass in an alternative band in the late 1980s, and now loves to hike, camp, travel, bike around, take photographs, hang out with his kids, and read.